So I met a lady at a Farmers Market recently who was selling mushrooms, and she started blabbing about how great mushrooms are for curing cancer - and specifically shiitake mushrooms, which coincidentally are more expensive and sell in retail grocery stores for $8 to $15 USD per pound. 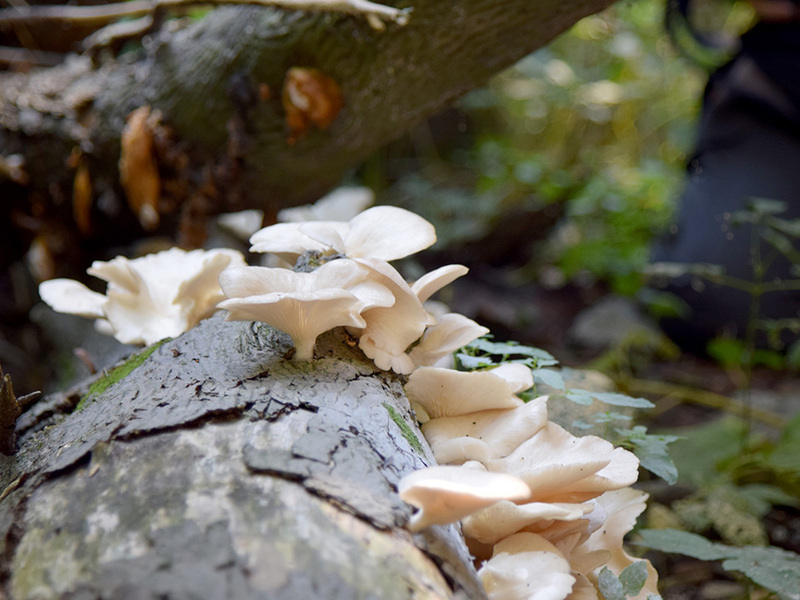 The rumours that mushrooms - and specifically shiitake mushrooms - can prevent or cure cancer is certainly out there, but today I am supposed to be talking about foraging for mushrooms. I would argue it is better to actually plant and garden mushrooms instead of picking random mushrooms in the woods. The reason? Not all mushrooms are edible, as some of them are poisonous. Haha, you say. All mushrooms are edible - once, you laugh and snicker. You see people seem to think that the word edible means "whether or not you can physically eat them", when that is not the definition of edible. safe to eat, fit for human consumption, wholesome, good to eat. So here is the thing. All mushrooms are consumable. Not all mushrooms are edible. Warning! Do not attempt to identify an unknown mushroom by matching it with pictures alone; compare all the listed characteristics of the mushroom. Never experiment with eating a mushroom that you cannot positively identify with 100% certainty. A poisonous mushroom can definitely kill you. Agriculture Canada keeps a list of edible and poisonous mushrooms on a PDF (a 346 page document) you can read from the link below. Not all the mushrooms in the document are found in Ontario, but there is certainly a lot to read if you want to become a mushroom expert in a hurry. Above is a handful of Oyster Mushrooms, which according to the lady from the Farmers Market come in a variety of kinds. She was selling Blue Oyster, Brown Oyster, Yellow Oyster and various other kinds of mushrooms. Telling them apart can be tricky, as the blue oyster has only a very slight blue tinge to it. Thus since mushrooms can be almost identical, it is really best that people get a book on the topic so that they know exactly what kind of mushrooms they are looking at. Worse, many poisonous mushrooms are lookalikes for normal edible mushrooms. So the plants are basically making an active attempt to trick you. Before you pick any newfound mushrooms, you should first identify them and compare to all known poisonous mushrooms that look similar. A good quality guide book to mushrooms. eg. "Mushrooming without Fear"
A gardening trowel for digging up mushrooms. Sometimes half of the mushroom is hidden in the dirt and you need to dig it up. A mirror for easily identifying mushrooms by looking at their undersides. A basket to collect the mushrooms in - preferably something which allows spores to drop through holes in the basket, spreading more mushrooms around the woods. The experts recommend storing mushrooms in brown paper bags in the fridge, as the paper absorbs moisture, keeping the mushrooms fresh. You will want to eat them within 3 days of harvesting them to get the best taste out of them. Anything over a week and they will have gone bad. The best methods of preserving them varies. Chanterelles can by sautéed and frozen. Porcinis and morels can be dried out and dehydrated, and later reconstituted. Clean mushrooms when you need them. Use a paring knife, old tooth brush or tea towel to remove any dirt and debris. Avoid using water if possible. If you do use water, try to eat them the same day you clean them. There are lots of recipes you can use mushrooms for. Pastas. Pizza. Hamburgers. Soups. Salads. Pick one. Lots to choose from.